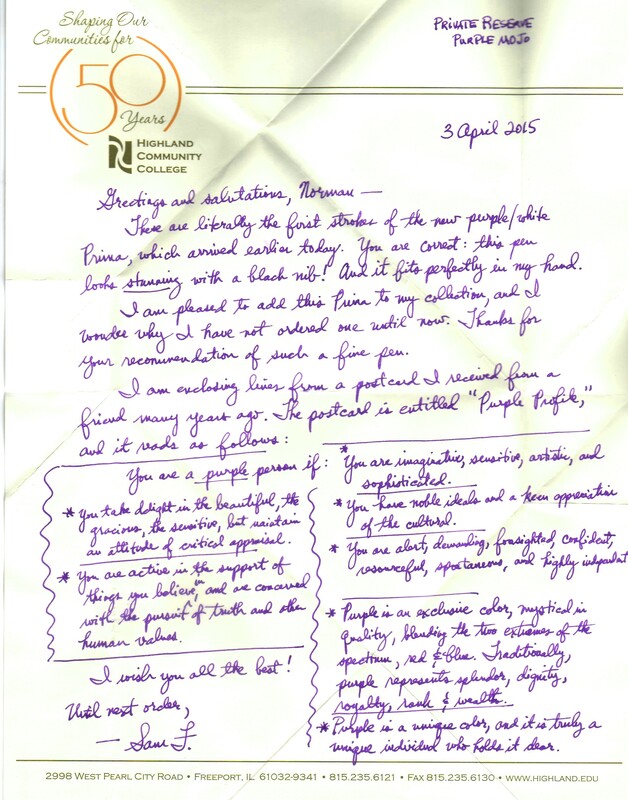 This is a great letter I received from 'Sam F', all about the 'Purple Profile' person. 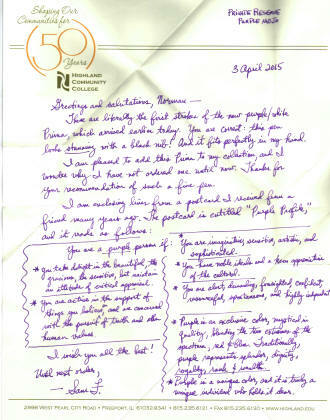 Just click on the letter itself to enlarge it. You can see the creases in the paper itself, as Sam has taken to using my note-folding approach, including the use of a seal (in his case, purple of course!). "One last thought: the Dreadnaught in particular is delighting me! nice, heavy feel and a big, broad wet line it puts down...so far, I think it's a real bargain..."
"Hi Norman, I received my Jinhao 159 Dreadnaught on Tuesday and the best I can say is that it fits - looks and performance - right in with my Mont Blanc 149, my Sailor King of Pen, my Pelikan M1000, and my Jinhao Pearl Windows. 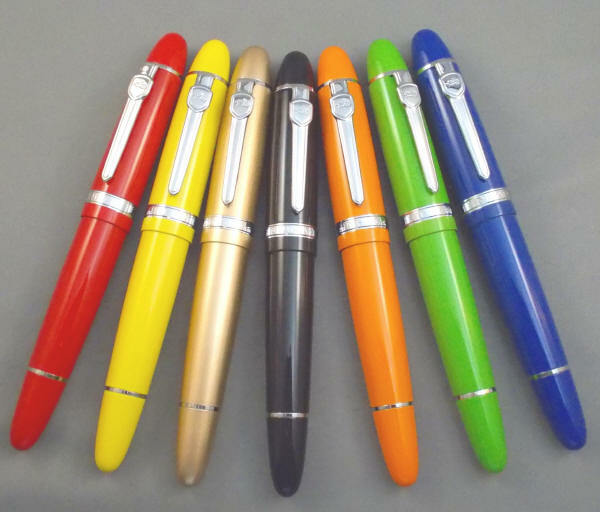 Thank you for your descriptions of this pen in the recent issue of Pen World Magazine - you did not overstate the form and excellent function of this pen. 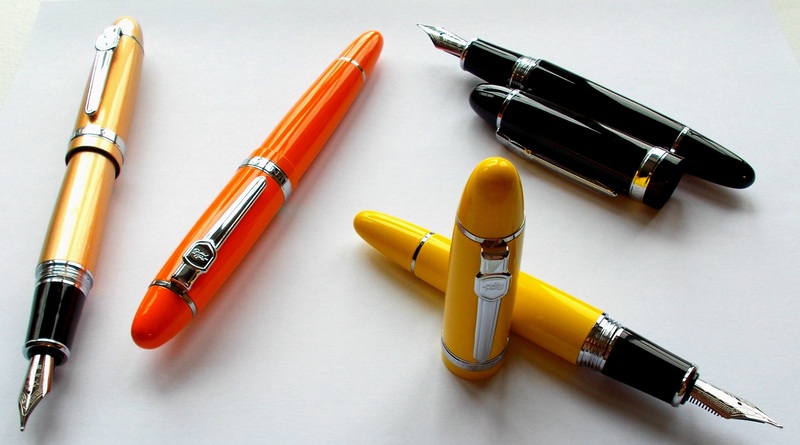 And as I have done, I would recommend purchasers buy one of each, and maybe even jazz each up a bit with a Monteverde nib (I am using the 1.1 Stub Nib with the Pearl Windows and the Fine Nib with the 159 Dreadnaught)." 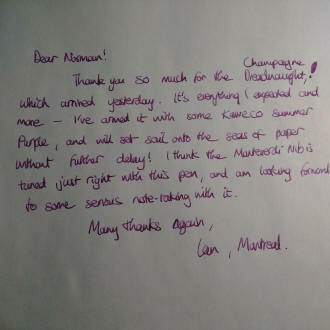 "The two pens arrived yesterday and I am delighted. The Wooden Chariot is quite colorful, but still tasteful, and classier than a photograph can show. It writes nicely, as I have come to expect with a Jinhao that you have tuned. The Gold Champagne Dreadnaught color doesn’t really show up in a photo, but it is a gorgeous gold. 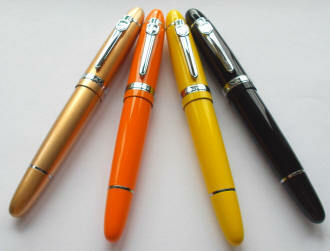 If you open the pen and post the cap the result is a really beautiful pen, the silver contrasting with the gold. Like my other Dreadnaught, it writes superbly. Thanks a lot! It’s always a pleasure doing business with HisNibs." 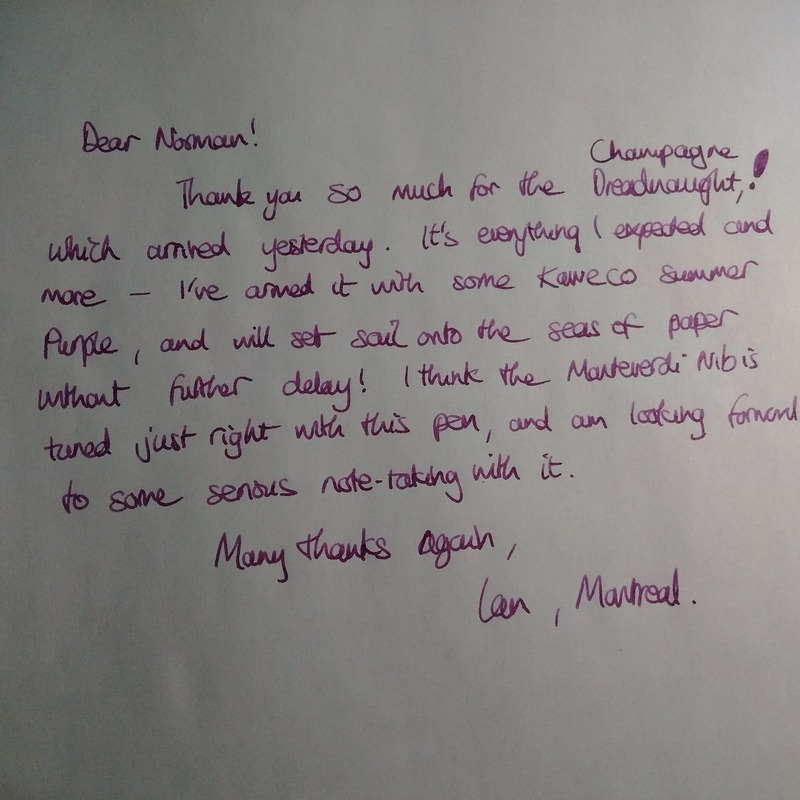 "Hi Norman, received the two pens (Jinhao Dreadnaught and Hero 616) as well as the pen rolls in record time! The pen rolls are great. As you know, I am a huge fan. They are extremely well made and soft and will protect my pens from daily bumps. The pen roll design is particularly fantastic for carrying over-sized/long pens (such as my Nakaya) which simply won't fit in standard leather cases. The four pen roll will be my daily pen case. The Jinhao Dreadnaught with the Monteverde stub nib is simply amazing. It is surprisingly well balanced (uncapped) being a large pen and is a great writer. It has to be one of the best values for its price. The dreadnaught may become my daily note-writing and signature pen (it will definitely be in the rotation). Thanks again for your fantastic service and selection of products." "Norman--Of course, I am again honored that you wish to share my note on the website and in the newsletter, so by all means, post away! After you posted your video about note-folding, I have followed your method with great success. I correspond regularly with a friend who loves these specially-folded and sealed notes. So again, I am doubly indebted to you for your note-folding knowledge and your excellent service. I am enjoying the Prima very much, especially equipped with the black B nib. It is a wonderful pen, and it gets daily use along with the Jinhao Dreadnaught I acquired from you last December (2013. . . I think). Best regards to you. Until next pen . . .
"The Dreadnaught FP arrived today . . . it’s perfect! The wide girth, nice center of gravity (even when posted), and smooth-writing medium-to-broad (always my preference!) nib makes it my favorite writing instrument. It’s every bit as good—if not even better—as you-know-who. . . I might have to purchase another color to have two in my collection. Definitely a superior pen!" "Hi, Norman, My new Jinhao Black Dreadnaught arrived today. I was so eager to try it, I dipped the nib in ink and wrote with it before even following your washing instructions. Afterwards, I washed it. It fits well in my hand. I very much like the size and weight of the pen. Also, the nib glided over paper smoothly. I was too late to order it the first time you stocked it -- my bad. I am happy you brought it back, and that I bought it this time. Happily Writing,"
"The pen arrived yesterday. It looks great, a bit heavy though. And it writes magnificent, the point really slides over the paper. I also have the original mb149 meisterstück, but i would not know which one of them writes the better. Thanks for the very correct handling and shipping. Kind regards,"
"Norman, my order arrived today and I am a very very happy customer !!!!! I want to complement you on the wonderful prompt, efficient and polite way that you processed my order. The hand written note was a very nice touch. If only more companies realized how important small things are, perhaps more companies would have more customers that return again and again. Now for the pens. WOW!!! 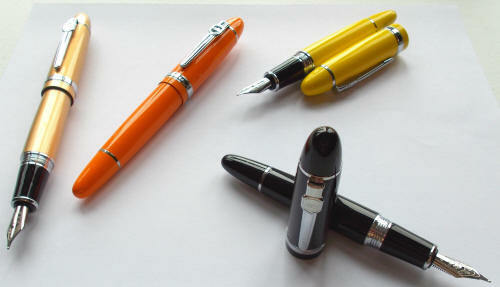 After the converters had short wash up with Mr Clean and a good rinse I inked the pens with my favourite Diamine ink. I can not say enough about how smooth the nibs are or how well the ink flows. I was absolutely taken by surprise by the performance. I always had a rather dim view of Chinese pens, given the rather disparaging comments that we hear at the typical pen show from collectors. Until now I was a confirmed Conway Stewart and Onoto user with a few Pelikan and Mt Blanc pens. The nibs on these Chinese pens perform better than other pens in my collection. I believe that I have become an enthusiastic convert to Chinese pens. 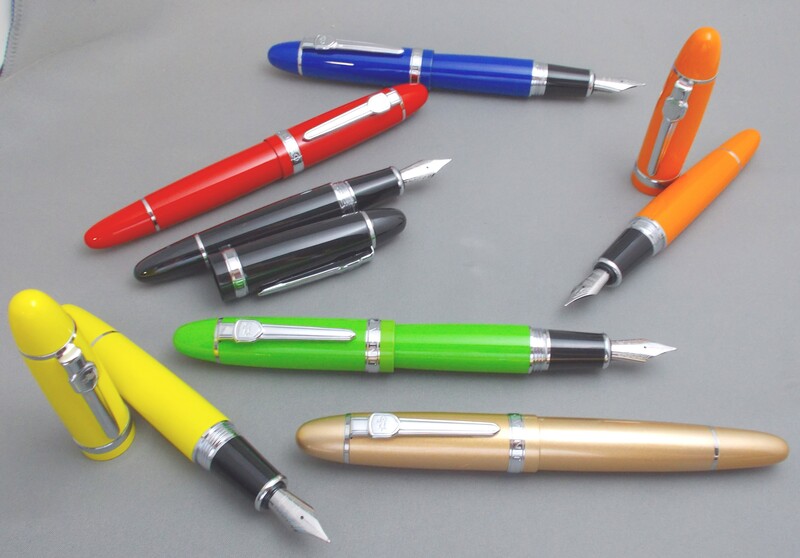 The only thing I still am unable to work out is why Chinese pens have not taken over more of the market and why the high quality and performance of these pens is not more well known and do not claim a greater share of the market. 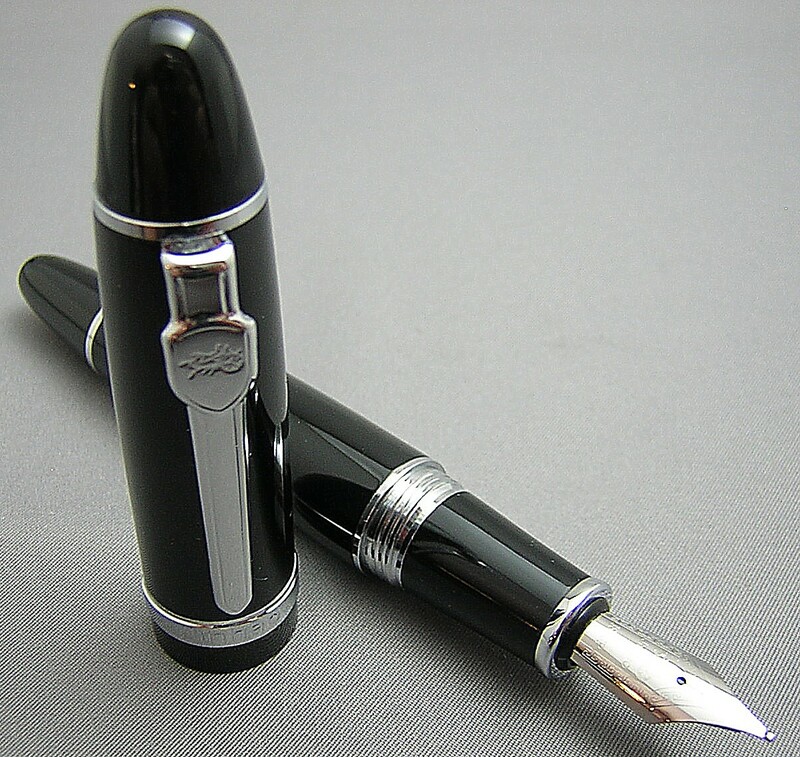 Niceties of finish are ever so fine but it really is about the nib and the paper. Thanks for making this a very fine and enjoyable experience. Please keep doing business the way that you are doing it now. Good quality and careful customer service are becoming rare." "Whenever I just think of the Lanbitou Pocket Rocket it just brings a smile to my face. It is such a beautiful, tiny piece of work. I’m smiling as I type this! 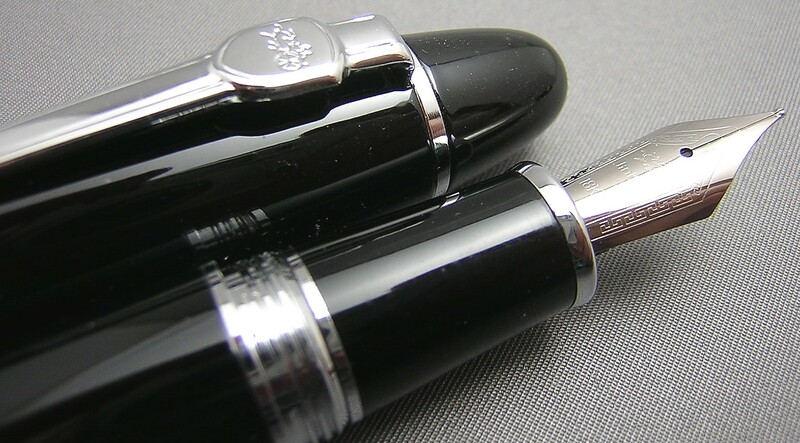 The Duke Gold Rings and the Jinhao Black Dreadnaught are both beautiful pens. When I first opened their packages it was a case of “Wow, these are impressive.” The Duke is well weighted when posted and the impression of quality is carried through when the pen top closes with a satisfying click. It produces a rich wet line even though it is a fine point. It’s so good I’m buying another as present for my sister. 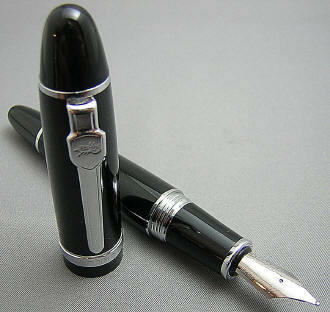 The Jinhao Black Dreadnaught exudes quality with a deep glossy black finish, this is as impressive as a pen can get. It is quite weighty, which adds to the feeling of high quality, but when posted is beautifully balanced. Even allowing for the fact that I prefer fine nibs the line it produces is the finest I have encountered. This is a pen I can write as small as I like with and not have to worry about my writing becoming an indecipherable blob – love it!" "Hi, I actually used to own a Meisterstück. Great pen, but it didn't write well. What a concept. I really believe the Dreadnought with Monteverde nib is superior. It writes great. Thanks for marrying the nib and the pen. Masterpiece. Now if it only came in red. " "Hi Norman, today the pen nib arrived; it's just wonderful! Upon opening the package, I had a bit of momentary panic as I didn't realize the existing metal nib on my pen had to be pulled out of its holder and the new one inserted. Most likely due to my not reading a description on your website thoroughly. Now the black fine nib is installed on my Dreadnaught and it writes beautifully. Just what I was wanting. And I did enjoy your handwritten and well-folded note. 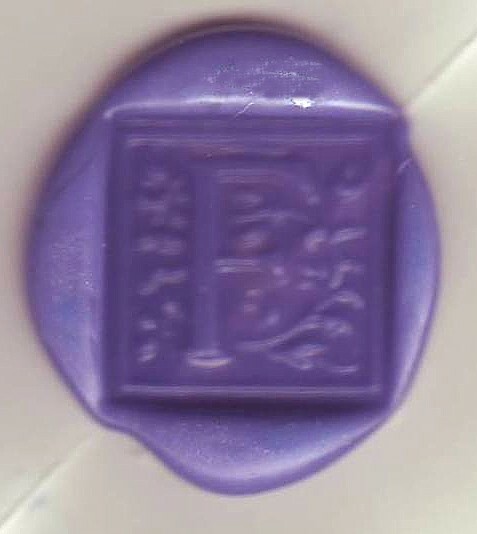 With sealing wax no less, how nice. Thanks again." "This Jinhao Dreadnaught with the stub nib is amazing -- as I knew it would be! Uncapped, this hefty pen fits nicely in my hand, and the stub nib is exceptionally smooth. I have become quite a fan of such stub nibs, so I am thrilled that you offer them as an option...Huzzah for His Nibs!" "Hi Norman, I received my Jinhao Dreadnaught and Silver Chain Dragon fountain pens. I prepped them and inked them up with Diamine Oxblood ink. Wow! What a wonderfully smooth writing experience with each of them! I write with the pen unposted. Along with the smooth writing, I truly enjoy the weight and balance of each pen in my writing hand, but especially that of the Dreadnaught. Thank you for not only providing such a pleasant writing experience, but also for the care that you give to each and every nib, and the special personal touch that you added to my order. This was my first purchase from you, and am looking forward to my next one." "Norman...The Jinhao Dreadnaught and Baoer 8 Horses pens are very nice looking as well as nice writing pens. They both feel good in the hand and glide across the paper when writing. Also, the pen wallet is a good place to store pens securely. Thanks for your care in packing and shipping the order promptly - very good customer service. Good online layout of your products." 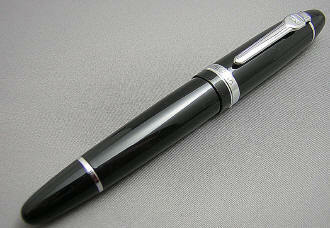 "I write in praise of my Jinhao Black Dreadnaught. 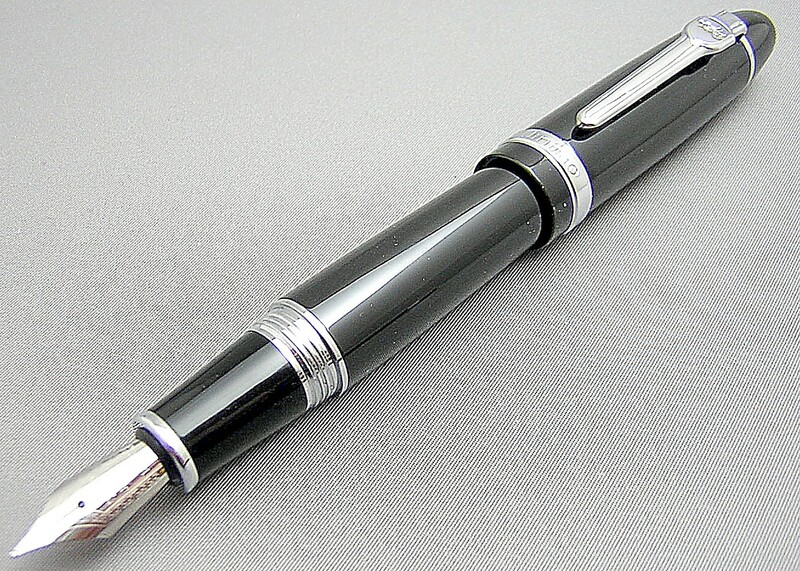 This is a beautiful pen, really quite striking in appearance. The fit and finish are excellent, the screw-on cap going on with silky smoothness. Its nib glides across the paper with elegance. There is one caveat, however. It should be removed from one's shirt pocket before attempting push-ups. Yes, its heft is noticeable. Cheers,"
"Norm, I got the nib * today (unbelievably fast!! ), put in on my Dreadnaught and it works like a champ. Thanks so much for helping me transform my pen into an every day writer." "I am having a ball with the Chinese pens I ordered. I love them all, but the Black Dreadnaught makes me smile every time I pick it up." "One converter full at office doing reports. One converter full after work writing letters. One converter full for sixteen journal entry pages this evening. SMOKIN HOT ! Never skipped or leaked a drop !!!" "Norman -- Thanks for continuing to send the updates. This time it reminded me that I had been meaning to write and tell you how much I've enjoyed the pens gotten from you. That "dreadnaught" is one heckuva pen! Probably the bulkiest pen I own at this moment. I had to find a special pen case to carry it around since it wouldn't fit into the one I normally carry. Even at that size, I find I enjoy it and tend to carry it most days, filled with Waterman purple. The nib is amazingly smooth and always starts right up; the line definitely leans toward the broad side of medium, which I very much prefer." "Hi Norman, I just wanted to let you know that I believe that my new Jinhao Dreadnought pen is the best one I have purchased from you to date. I like the feel immensely, with or without the cap attached, while writing. It is smooth as silk. I'll buy more Jinhao in the future!" "Hey Norman, What a surprise! I got home from the office and found the Jinhao 159 Black Dreadnaught waiting to be tried out...WOW, I didn't think it would arrive so soon. And it has not disappointed! This is a great pen-by far my biggest in size and the best value...$35 ??? AMAZING!!! It has such a smooth stroke and I am running out of superlatives so I'd better get back to writing. Thanks for bringing this awesome pen to the USA! Best regards." For those who crave actual measurements, this is definitely an oversized pen! The Dreadnaught pen measures 5-3/4" capped, 6-3/8" posted and a still-large 5" with cap held aside. The construction is lacquer-over-brass, but despite being a hefty pen, I still find the pen well-balanced with the cap posted. The Dreadnaught sports three rings, with the center cap ring engraved with Jinhao on the clip side and the model number 159 on the reverse. The clip is Jinhao's new blade and shield design, with the shield displaying Jinhao's chariot logo. The cap unscrews from the barrel and friction-posts on the barrel's end. 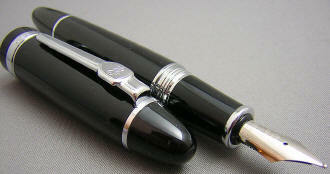 This displays the oversized nib, which is engraved with Jinhao, 18K GP (eighteen karat gold-plate) and the chariot logo. In keeping with the size of the pen, I'd rate the nib as a full western medium, tending toward the broad end of the spectrum.